Do you have a story that you’d like to tell? Have you ever thought of becoming an author? Do you have lots of good ideas that you’d like to craft into something a bit more substantial? Join award-winning author Edward Docx for an hour of insight, advice, encouragement and ten practical tips on how to turn your thoughts into a professional storyline. Ed has written four novels. He’s been long listed for the Booker Prize and won the Geoffrey Faber. He reviews contemporary fiction for The Guardian and he’s been teaching the Guardian Masterclass for Fiction for the last seven years. He’s also hosted dozens of Arvon residential writing courses and coached lot’s of private pupils – several of whom are now published. We’re delighted to be hosting this special event with Ed and his publisher Pan Macmillan to celebrate Independent Bookshop Week. So why not come along and get some practical advice, some top quality inspiration and a fascinating insight into the world of creative writing. 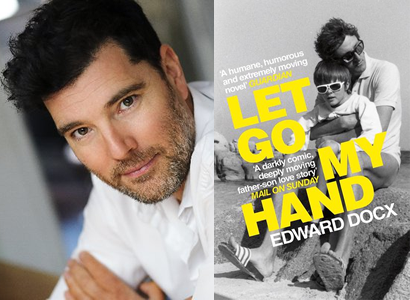 All those attending will receive a paperback copy of Ed’s latest novel Let Go My Hand.